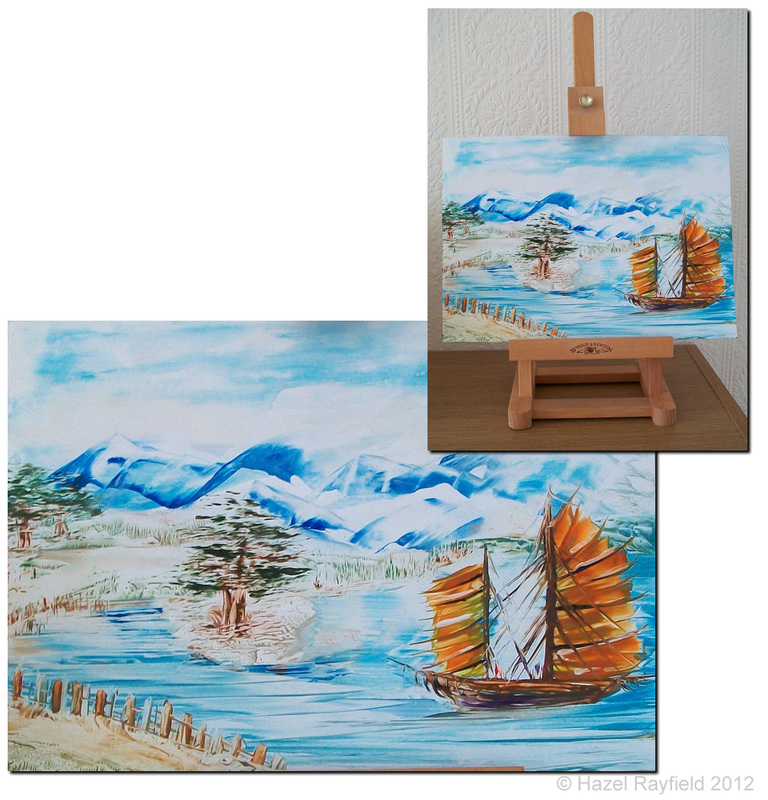 This new painting was inspired by a collection of oriental paintings I saw last year, and recently being reminded of it inspired me to have a go at painting a oriental style landscape. The painting has been created using encaustic wax, melted using a specialist iron and style heat tool. The movement of wax in its molten form gives me the flow to create the mountain range of the back drop, the sailing boat (Junk) itself was a challenge but a combination of iron and stylus work, and a lot of patience proved to win out and the sails in particular were just as I had intended. The main focus of this piece is the Junk, however as we look deeper into the picture I hope you can see the setting, I believe we all see different things in Art, for me this piece tells the story of a ancient tree standing strong where the land has been washed back over many years, a small jetty ready for the boat to land is in the distance with pathways off to maybe a small community or village …….. Interesting isn’t it? ……. what do you see? why not leave me a comment below. To see a larger view please click on the painting photograph.